Zinc deficiency is a well-documented problem in food crops, causing decreased crop yields and nutritional quality. Generally, the regions in the world with Zn-deficient soils are also characterized by widespread Zn deficiency in humans. Recent estimates indicate that nearly half of world population suffers from Zn deficiency. Cereal crops play an important role in satisfying daily calorie intake in developing world, but they are inherently very low in Zn concentrations in grain, particularly when grown on Zn-deficient soils. The reliance on cereal-based diets may induce Zn deficiency-related health problems in humans, such as impairments in physical development, immune system and brain function. Among the strategies being discussed as major solution to Zn deficiency, plant breeding strategy (e.g., genetic biofortification) appears to be a most sustainable and cost-effective approach useful in improving Zn concentrations in grain. The breeding approach is, however, a long-term process requiring a substantial effort and resources. A successful breeding program for biofortifying food crops with Zn is very much dependent on the size of plant-available Zn pools in soil. In most parts of the cereal-growing areas, soils have, however, a variety of chemical and physical problems that significantly reduce availability of Zn to plant roots. Hence, the genetic capacity of the newly developed (biofortified) cultivars to absorb sufficient amount of Zn from soil and accumulate it in the grain may not be expressed to the full extent. It is, therefore, essential to have a short-term approach to improve Zn concentration in cereal grains. Application of Zn fertilizers or Zn-enriched NPK fertilizers (e.g., agronomic biofortification) offers a rapid solution to the problem, and represents useful complementary approach to on-going breeding programs. There is increasing evidence showing that foliar or combined soil+foliar application of Zn fertilizers under field conditions are highly effective and very practical way to maximize uptake and accumulation of Zn in whole wheat grain, raising concentration up to 60 mg Zn kg−1. Zinc-enriched grains are also of great importance for crop productivity resulting in better seedling vigor, denser stands and higher stress tolerance on potentially Zn-deficient soils. 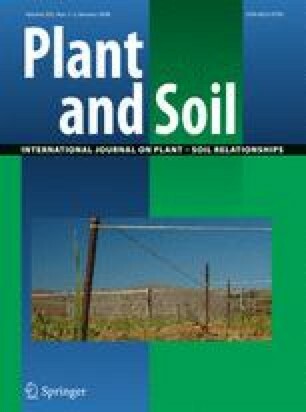 Agronomic biofortification strategy appears to be essential in keeping sufficient amount of available Zn in soil solution and maintaining adequate Zn transport to the seeds during reproductive growth stage. Finally, agronomic biofortification is required for optimizing and ensuring the success of genetic biofortification of cereal grains with Zn. In case of greater bioavailability of the grain Zn derived from foliar applications than from soil, agronomic biofortification would be a very attractive and useful strategy in solving Zn deficiency-related health problems globally and effectively. The author is grateful to Prof. Dr. R. M. Welch (Cornell University), Prof. Dr. Zed Rengel (Western Australia University), Dr. W. Pfeiffer (CIAT-HarvestPlus), Dr. I. Monasterio (CIMMYT) and Dr. L Ozturk (Sabanci University) for very valuable comments on the manuscript, and to HarvestPlus biofortification challenge program (http://www.harvestplus.org) and the State Planning Organization of the Turkish Republic for the financial support.